In our day-to-day life, we always gain inspiration from any medium in form of a incident, person, movie or a book. Apart from reading books, I admit that I am very passionate and crazy about movies and film making. 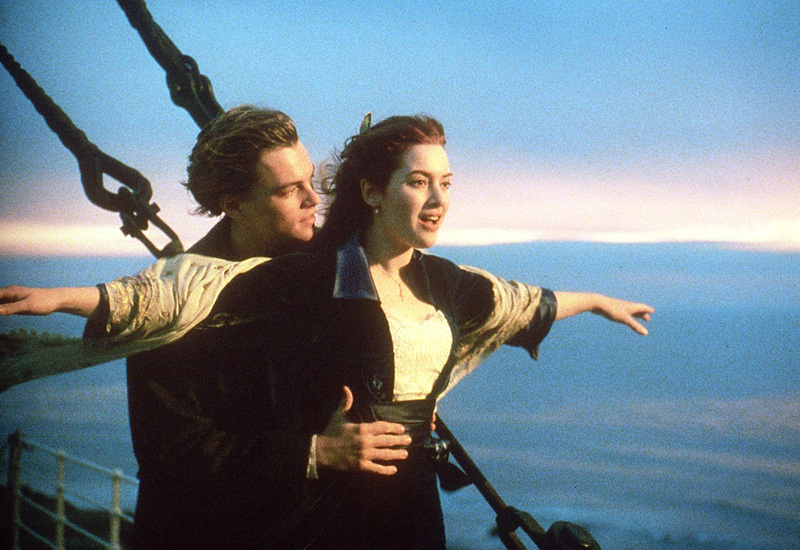 I may have seen thousands of movies, but James Cameron’s motion picture – Titanic is my all time favorite . My first article as a writer was for this motion picture – Titanic where I recorded all my memories in my 2007 diary. It was summer of 98, when I first read the review of Titanic in a newspaper and was quite smitten by beauty of Kate Winslet who resembled Bollywood diva – Madhubala. Though I couldn’t see the movie on 70 mm screen, I have seen the movie several times on television. As my name Prashant means Pacific in English, I have strong fascination for ocean and cruise. Sometimes, I feel that I should escape from the stressful difficulties of life and board on a timeless journey where this oceanic liner keeps sailing on and I keep glancing at the heart of the serene sea, gaze at the violinists, salsa dancers, enjoy the party on board and find my Rose someday 🙂 Blissful Isn’t it !! Hope this impossible wish would have been real. But some wishes are meant to stay incomplete in your heart forever. I remember the every line of the movie so thoroughly that these dialogues are imprinted in my mind forever. Based on the worst maritime disaster, this movie gives you an insight idea about the incident that occurred claiming the lives of several people journeying through this ship . This movie was not only technically brilliant, but also had some memorable performances by Leonardo and Kate winslet. The movie was released in 1998 all over India and ran for several months in Regal fully packed with enthusiastic audience keen to catch a glimpse of the greatest maritime disaster of all times. Titanic’s saga was larger than life and is etched in my heart forever. It was the technical brilliance of James Cameron, performances of Leo and Kate and soulful music of James Horner that made this movie an epic in history of Hollywood cinema. Did u see censored or uncensored ?